For many of us, June is the end of the fiscal year. There is still time to make sure you finish this year strong. Last year a friend told me about a campaign she was working on. Since I was familiar with her community, I mentioned some names of people that I thought she should've contacted. She told me each of them had said "no." So, being who I am, I asked them myself. At least one of them did. He gave enough to push the campaign over goal. Too often, we create narratives for donors. They don't respond to our request, so we start creating stories in our heads about why they aren't responding. In reality, they could simply be busy with other things. But we take it as a firm no. Take a moment this week and look at the "no's" you think you've gotten over the last six months. And re-ask them. It could be as simple as a call saying, "Hi Joe, this is [your name]. We still have this great project. When we last spoke you weren't in a position to make a gift. Would you be able to now?" Yeah, I know, we're not supposed to label people. Especially not with acronyms. People are people and have inestimable worth. But face it, acronyms and labels can be helpful. Like LYBUNTS. LYBUNTs are people who gave last year but unfortunately not this year. This week would be a great time to take a look at a LYBUNT list. If you can, particularly look for the people who made gifts between January and June of last year. While most people tend to give at calendar year-end, enough donors give in the spring to make this list worth looking at. Look at the list and call everyone you can. The call would be as simple as, "Hi Sally, this is [your name]. Last May you made a gift to our cause and we're so grateful. We're still doing amazing things. Would you consider making that gift again this year?" I'm not a huge fan of donor lists but I definitely understand why organizations use them. But why publish them only after the fiscal year? Why not print one now? You could send it out as a thank you and ask "Did we get your name right?" Or "Is this how you'd like to appear?" The thing is, don't just send it to donors. Send it to your entire list. Lists like this can be a form of social proof. Studies show that most of us want to know we're not the only one acting in a particular way. A list like this shows donor prospects that others just like them have given to you. It might be the "proof" they need to right the check. This week, why not run a draft donor list. Get a mailing out to your list if you can manage that. And post it online and notify your supporters by email with a link. Don't rely just on an email, having something printed in your hand can be more motivating. And less easy to "delete." Those are my three suggestions. What would you add? Feel free to post your suggestions in the comments section. Even if this isn't the end of your fiscal year, why not block out some time this month to do each of these three things? It definitely won't hurt! For more specific fundraising suggestions like these, check out Fundraising Kick. 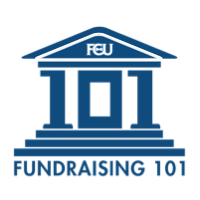 You'll get brief, focused ideas for fundraising, often with scripts, delivered to your inbox each week! Three really interesting ideas. I especially want to point out that nowhere did you suggest saying to donors "it's the close of our fiscal year and we need your gift." I get so crazy when see letters or phone calls using that as the reason why someone should give. Gayle: I never even thought of that!! Wow. And it's SO common. Great, 3-pointer, Marc. You 're-visiting the No' is especially well-taken in that we often invent narratives for donors when they don't respond to a request, creating non-existent stories in our minds when they may just be busy or away. Actually, I disagree with Gayle. In my experience with non-profits, using a deadline such as "end of fiscal year is a motivator for donors. It's common behavior to act when there is an impending deadline approaching. In fact, with many non-profits I work with both end of year and end of fiscal year are their two best months for giving. Additionally, if you can get a donor or group of donors to match any gift in the next two weeks before the end of the fiscal year you will see even greater returns. So, Marc, I would put that as another tactic...try to get a matching gift offer and really go after the "no's" and LYBUNT'S. Jeff: LOVE your comment. I thoroughly dislike the end of the year wording. But what I like and what works aren't always the same! Have you seen it done creatively? Or ooes the boring "help before June 30" seem to work best? This is great Marc. And I agree with Gayle - mentioning year end is great, but that, in and of itself, is not why donors give. So talking about the impact and the great things the organization is doing, as well as mentioning the year-end deadline is a great way to go. Hey Marc. Direct-response fundraising as you know is usually ugly. What we like personally, usually doesn't equate to good response. Over the many years I have worked with non-profits both large and small at the year end and fiscal year end offer a great opportunity for a natural deadline. Creatively, the best strategy combines a good offer (need) with a matching grant and a solid deadline. For example I have one client right now where their fiscal year ended May 31st. We received a large enough match from a major donor to mail two appeals and three e-mail appeals. Each with a great offer, the match and the impending deadline. For this small organization they were able to make the match of $25K over those five impacts. The best of the five was the one we sent on Sunday morning in an e-mail with the subject line: Only 2 days left!!! It brought in over $5,000 in 24 hours. Which for this small organization was awesome. Only December was a better month for them in which we used almost the same strategy, but with a different offer. However, we had that match and the end of the year as a motivator. A follow up mailing that gives the donor about 7-10 days to respond before the end of the fiscal year is best after an initial mailing two weeks prior to the follow up. There you go. Have a great end of fiscal year!!! Though the deadline for the match is pretty powerful in and of itself, no? Underscoring Jeff's point about my cardinal sin... extrapolating from one to all. None of that really has to do with the end of the year. Jeff makes some great points about a challenge and a deadline working but that is not fiscal year centric. Gayle is correct in that we all hate that "the year is coming to an end on , please give before then" messaging but it works. Or at least for certain segments is works. Name your groups whatever you want (and they are not people but behavioral measures so that is ok) and identify those groups with the greatest loyalty to your cause/charity/organization. Those are your fiscal year end prospects. Target them with that give by date ask and they will respond. Why? Because they value you (or more accurately, what your organization does/stands for) and want to see you succeed. Hence a message that is based on a we are counting on your support to help us before the end of our (self defined) year matters to them. The other opportunity that exists within a fiscal year is second asks. This can be to a general fund from donors to restricted funds and restricted fund support to donors to general funds and/or can be limited to those who have high degrees of loyalty - you know, the ones who we just covered are going to give now if asked now? Those are your fiscal year end efforts, not acquisition or lapsed renewals - they are not giving now and have little to no loyalty to you, why is it that we think that they are suddenly going to "see the light" and make a gift because it matters more to the non-profit? I think this is where that disgust with that language comes in, we all see it on a regular basis from places that we don't value enough to be persuaded based upon it and that leaves a rough feeling of "it really is just about the money." Because it is.